Category 12 (Folk Song) with 15 choirs from Austria, Bulgaria, Costa Rica, Germany, Croatia, Latvia, Macedonia, Philippines, Uganda, Hungary, USA. International folklore ensembles present music and dancing from England, Georgia, Iran, Ireland, Macedonia, Netherlands, Peru, Serbia, South Korea, Hungary and Uganda. International high class choir music presented by Harmonie Lindenholzhausen and festival choirs. With Top-Class Male Voice Choirs from Germany and Austria and award-winning choirs from the USA, Germany, Philippines, Austria, Ukraine, Costa Rica and Bulgaria. International high class choir music presented by Harmonie Lindenholzhausen and award-winning festival choirs and vocal ensembles from Thailand, USA, Latvia, Georgia and Czech Republic. Mixed Chamber Choirs – 17 choirs from Costa Rica, Germany, Macedonia, Netherlands, Philippines, Russia, Slovenia, Thailand, Ukraine and from Hungary. Male Chamber Choirs – 6 choirs from Costa Rica, Germany, Netherlands and the USA. Children’s Choirs and Youth Choirs – 7 choirs from Austria, Germany, Sweden and Czech Republic. Mixed Choirs – 3 choirs from Switzerland and the USA. International folklore music and dance from the following nations and cultures: Bulgaria, England, Georgia, Greece, Iran, Ireland, Croatia, Macedonia, Mexico, Netherlands, Nigeria, Peru, Philippines, Poland, Rumania, South Korea, Czech Republic, Turkey, Hungary and Uganda. Special Concert: International Sacred Choir Music in St. Jacob’s Church. Harmonie Lindenholzhausen presents the following awarded-winning choirs: Stockholm’s Musikgymnasium Choir, University of Louisville Cardinal Singers, Kammerchor CONSONO Köln and Männerensemble “Sonat Vox”. Female Chamber Choirs – 4 choirs from Bulgaria, Latvia, Netherlands and the USA. Male Choirs – 8 choirs from Austria, Germany, Finland, Netherlands. 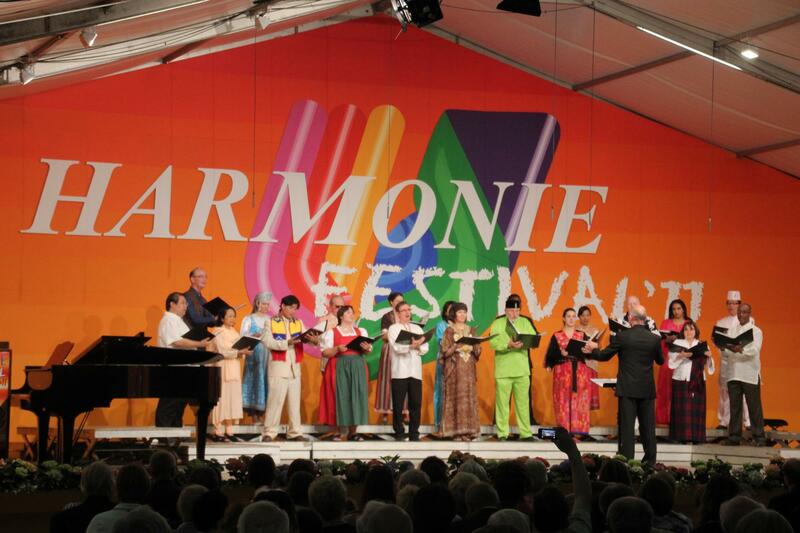 Vocal Ensembles – 5 ensembles from Germany, Iran, Philippines, Russia and Czech Republic. Sacred Music – 18 choirs from Austria, Bulgaria, Costa Rica, Germany, Latvia, Netherlands, Philippines, Rumania, Russia, Sweden, Thailand, Ukraine, Hungary and USA. 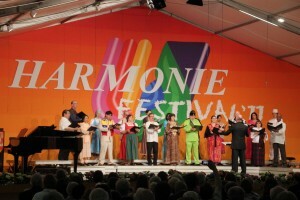 Folklore Choirs – 4 choirs from Costa Rica, Germany/Armenia, Macedonia and Uganda.